I have been in the automotive industry for over 30 years and take great pride in being open & honest with my customers. I know purchasing a vehicle is a difficult decision. That is why I personally drive and gather as much information as possible about each and every vehicle. My goal is your complete trust and satisfaction. Allow me the opportunity to make your vehicle purchase a great experience. Come see us at Maple Leaf Motors or visit us at www.mapleleafmotors.com or call 253-475-7695 to schedule your test drive today. 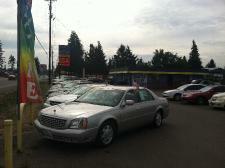 I've been working in the car business for over 25 years in both Sales and Service. My goal is to helping make your dreams a reality. I pride myself in helping our customers find the vehicle which fits their budgets and credit needs at a price they can afford. Come see us at Maple Leaf Motors or visit us at www.mapleleafmotors.com or call 253-475-7695 to schedule your test drive today.  I've been working in the car business for over 30 years. I look forward to helping make your dreams a reality. I pride myself in helping our customers find the vehicle which fits their budgets and credit needs at a price they can afford. Come see us at Maple Leaf Motors or visit us at www.mapleleafmotors.com or call 253-253-475-7695 to schedule your test drive today. I look forward to helping make your dreams a reality. I pride myself in helping our customers find the vehicle which fits their budgets and credit needs at a price they can afford. 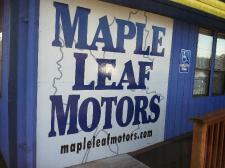 Come see us at Maple Leaf Motors or visit us at www.mapleleafmotors.com or call 253-846-5955 to schedule your test drive today.